The condition of a car's oil can tell a lot about an engine. So now Millers Oils is offering a professional analysis of engine oil, for lubricity and contamination. Millers Oils has launched an oil analysis service called MillerCare, which enables drivers to investigate the health of their engine or transmission. The results of the analysis can accurately predict component wear and lubrication life, helping vehicle owners to reduce maintenance costs (if the oil is okay after, say 10,000 miles) and better anticipate costly repairs. “The lubrication in an engine or transmission is very similar to the blood flowing through our veins,” said Martyn Mann, Millers Oils Technical Director. The analysis identifies and quantifies wear metals, additives and contaminants in the lubricant. 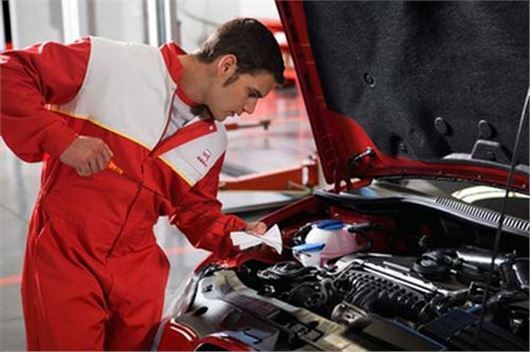 From this, a report is created that highlights any unusual characteristics, which can then be used to determine the health of the engine or transmission. For example, the report could show abnormally high silicone content, which would be an indication that the air filter needs replacing. Or high-levels of iron could point to the deterioration of cylinder liners or piston rings. The analysis also tests the viscosity of your oil to ascertain if there have been any changes to the lubricant since it was first used. Changes to an oil’s viscosity is usually because of exposure to excessive heat, if it has been in the engine too long or the engine is overheating, or it could be due to the contamination of foreign materials, such as coolant or fuel. MillerCare will initially be sold on a two tier basis; basic and advanced. MillerCare Basic (£29.95 inc VAT) includes the report; MillerCare Advanced (£39.95 inc VAT) enables customers to have multiple samples analysed to produce a trend graph. By submitting two samples over six months, for example, the customer can monitor an issue highlighted in the first test and see how it has progressed. The MillerCare oil analysis kit is available to order from sales@millersoils.co.uk. The results of the analysis are sent via email but can be posted if requested.